Slow down, June. Where are you going? Why are you running so fast? We haven’t talked about all the goods I recently discovered yet! Without further ado, here are some of my favorite fashion, skincare, makeup and book favorites from this month. Let’s be real. 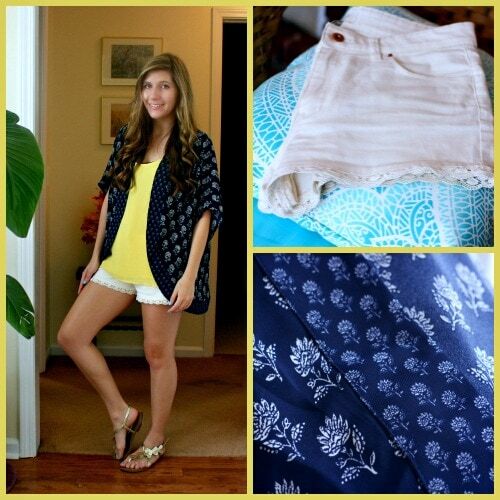 These shorts are flimsy, have lace and pockets, and fasten with a drawstring. They’re fancy pajama shorts. 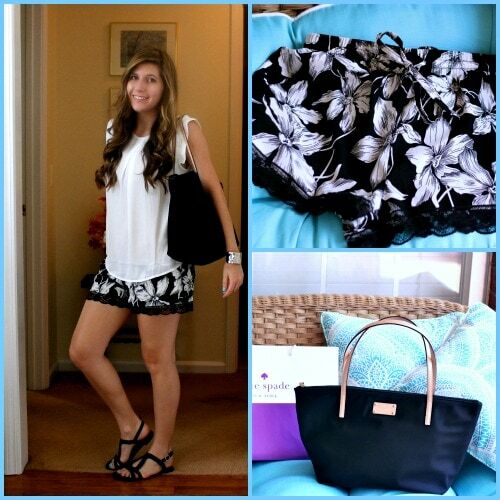 The black-and-white tropical pattern is perfect for summer. Unlike many of these thin, colorful, and often floral shorts, I feel like I can wear these in public without looking too much like I just stepped out of bed. This Kate Spade tote been my arm candy daily. I highly, highly recommend this bag if you want something large enough to stuff books, a laptop, fresh pineapples, or other large objects into. I never thought I would give into the kimono hype. This is a subtle kimono jacket, because it’s shorter and fringeless. I also can’t stop wearing these white scalloped shorts from Forever 21. 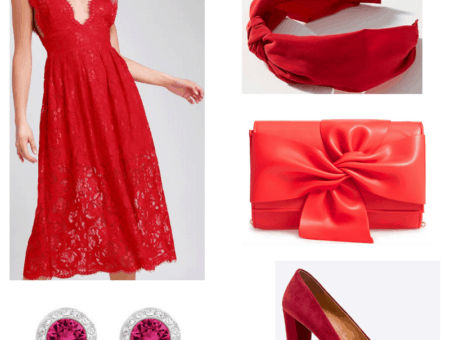 They match everything. If you’re a frequent CF reader, you might remember my undying passion for crazy patterned athletic bottoms from my What to Wear to the Gym article. 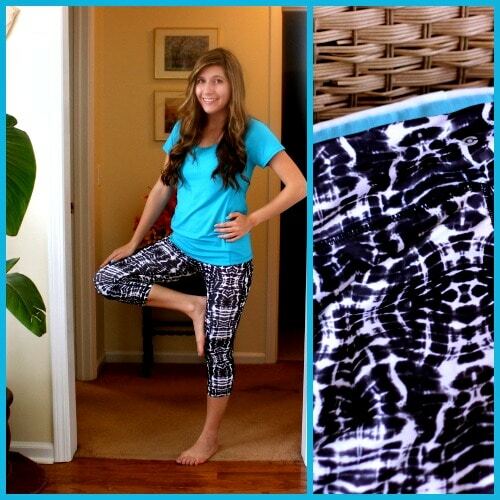 I’m proud to say that at last, I have found the craziest workout leggings ever. They are so crazy, in fact, that I have no idea what this pattern is called – Snakeskin? Water droplet? Psychedelic zebra? In addition to being crazy cute, these are also crazy flexible and comfortable. I suffer from red, inflamed acne on the sides of my chin and jawline. According to various websites and my PA, this is hormonal acne. Since my teenage acne years, I swore to never use benzoyl peroxide on my skin because it made my skin red and dry to the point of peeling. Recently, my acne has gotten worse, despite trying various, more natural options, like Burt’s Bees, Alba Botanical, Yes to Grapefuit, and Simple Skincare. This 10% Benzoyl Peroxide actually clears up my acne. However, it literally strips the skin of any moisture. I use it once every other day and follow up with a heavy moisturizer. I also have been using a BB cream every day instead of foundation for extra moisture. In addition, I’ve been using this tinted benzoyl peroxide on-the-spot treatment over my spots. 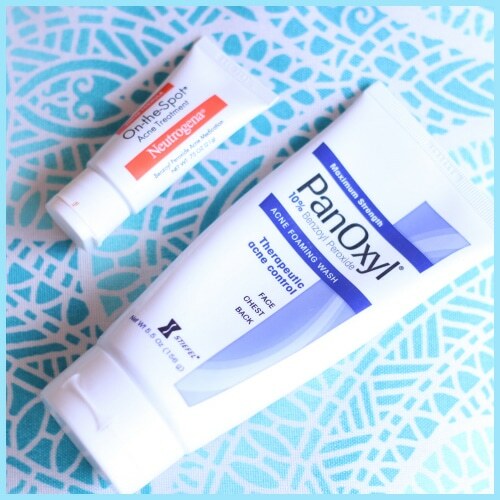 Benzoyl peroxide is the only thing I have found that can combat my vicious hormonal acne. If, like me, you haven’t tried certain a product for years, maybe it’s time to give it another try. 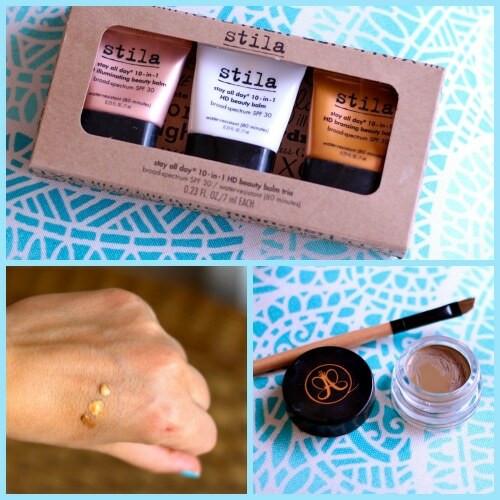 This three-pack of travel size Beauty Balms by Stila has been my go-to makeup staple this summer. One is a illuminating, one is bronzing and one is a normal BB cream. My favorites are the illuminating and bronzing ones. Since these are liquids, they pack more of a punch and are more controllable than their powder cousins. Anastasia’s Dipbrow Pomade is a waxy gel made for sculpting arches. You could even call it the Michelangelo of eyebrows. (Have you looked at the Statue of David’s eyebrows? Now that’s what I call a nice brow.) I can’t vouch for the degree of waterproof-ness, but this stuff stays on all day, through warm pool days and sweaty gym sessions. 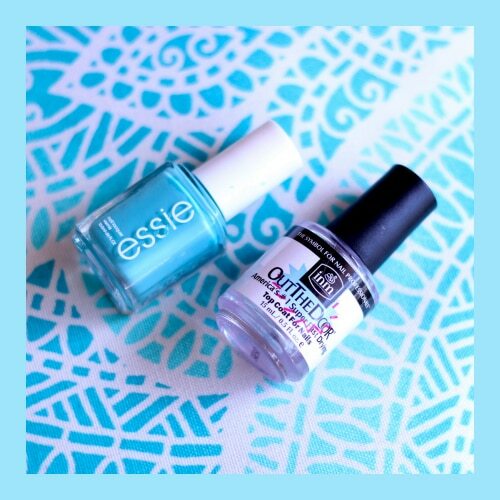 Essie’s “In the Cabana” aqua nail polish isn’t just in the cabana. It’s on my nails pretty much daily. Who doesn’t want the ocean on their nails? If you’re looking for an inexpensive topcoat to dry nails fast, this Out The Doortopcoat does the trick. 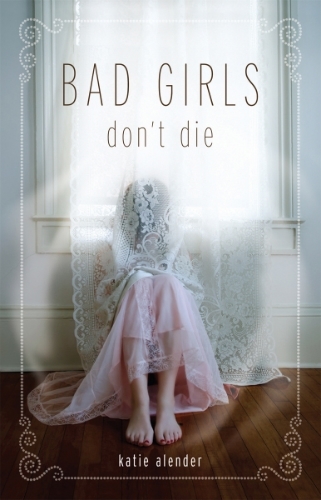 Bad Girls Don’tDie is chock full of wit, dark humor and annoying arch-enemy cheerleaders. This is a creepy, paranormal book about ghosts and dolls, and a pink-haired (but not too rebellious) heroine. If you’re burnt out from reading four textbooks in four weeks and want some lighthearted fiction, this is the book for you. 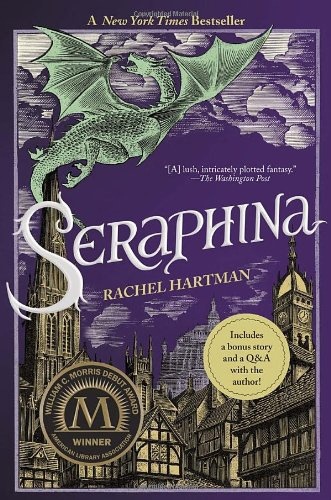 Seraphinais a fantasy about two countries trying to coexist. One is a human kingdom and the other is a dragon kingdom. The protagonist falls somewhere in the middle. Although it’s a fantasy, this is ultimately a book about self-acceptance. I found the first two chapters slightly confusing, but before long I was caught up in the story and couldn’t put this book down. Come out with the sequel already, Hartman! I began this series so long ago, I couldn’t remember what happened last. However, I did remember how much I adored the series. This is the final book, and I was worried it wouldn’t be as good as the others. I was wrong. 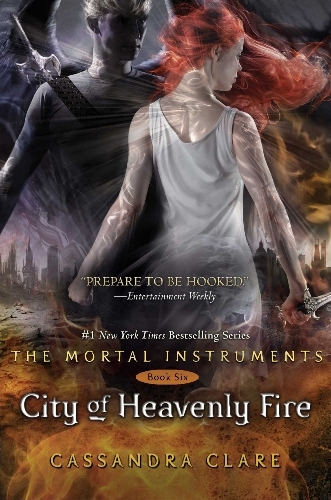 City of Heavenly Fire is my favorite. As with the rest of the series, it was filled with action, plot twists, just the right amount of romance, tearjerker moments and laugh-out-loud dialogue. It was a more than satisfying finale to a long series. 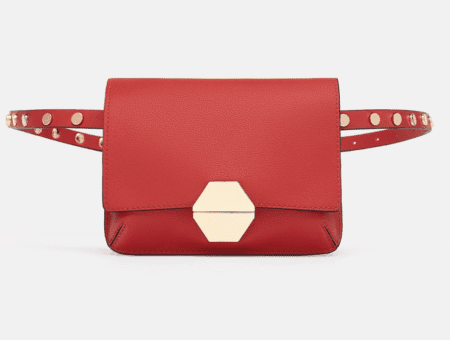 What are your June favorites? What have you loved this month? What’s on your summer reading list? What’s your favorite summer nail polish color? Let me know by leaving a comment!